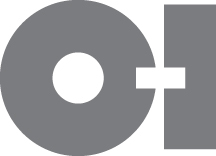 PERRYSBURG, Ohio (May 24, 2018) - Owens-Illinois, Inc. (NYSE: OI) today announced that the Company will participate in the Deutsche Bank 2018 Global Industrials and Materials Summit on Thursday, June 7, 2018, in Chicago, IL. O-I Chief Executive Officer Andres Lopez and Chief Financial Officer Jan Bertsch will present at 10:40 a.m. CT. Slides from the presentation will be posted on the Company's website, http://www.o-i.com/investors/, before the market opens on June 7.